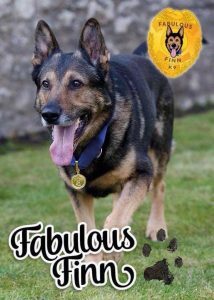 Finn was born into the West Midlands police dog program in 2009 where both his parents were working police dogs. 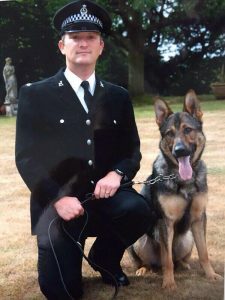 He started his initial training of seeing the big wide world at 8 weeks old, he met his handler and new dad Dave at 9 months old and enrolled in his first training course aged 11 months. His on the beat life as a police dog began at 14 months old. On the night of 5th October 2016 whilst tracking down a fleeing criminal Finn was stabbed repeatedly in the chest and head, potentially saving his handlers life he was now fighting for his own. Finn underwent 4 hours of life saving surgery and 11 weeks of recovery before miraculously returning to active duty ahead of his planned retirement in March 2017. 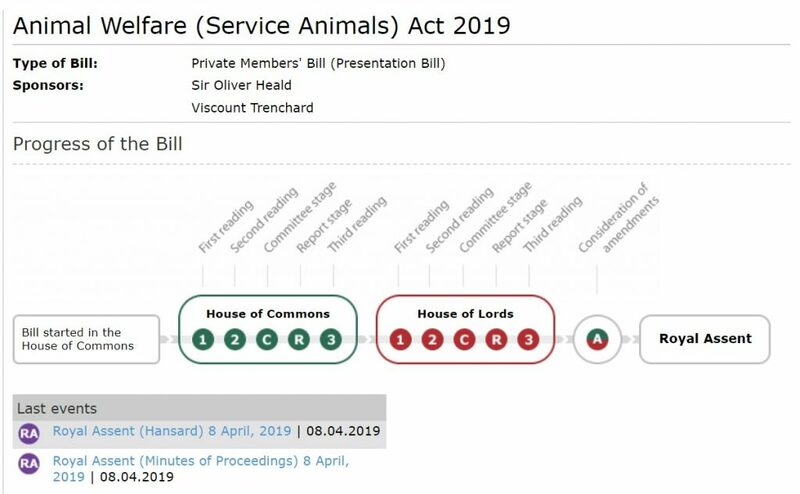 You may be surprised to learn that there was actually no law in this country to protect service animals against such attacks as this one, but since this horrendous attack Finn, his family and an ever growing army of supporters, tirelessly campaigned to get this law changed. 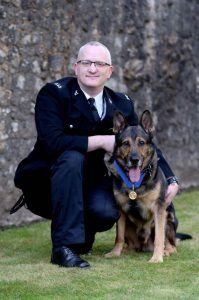 After more than two years of campaigning, Finn’s Law became a reality in April 2019 as The Animal Welfare (Service Animals) Act 2019, which makes it an offence to harm service animals, was given Royal approval by The Queen. The first reading was held on the 13th June 2017 and Royal Assent was given on the 8th April 2019. The Act will come into force in June 2019. During his service he received numerous police commendations, he scooped all the awards at the Regional dog trials 2 days before he retired. He has over 300 arrests to his name, he has recovered thousands of pounds worth of stolen goods and has also found in excess of 40 vulnerable people! 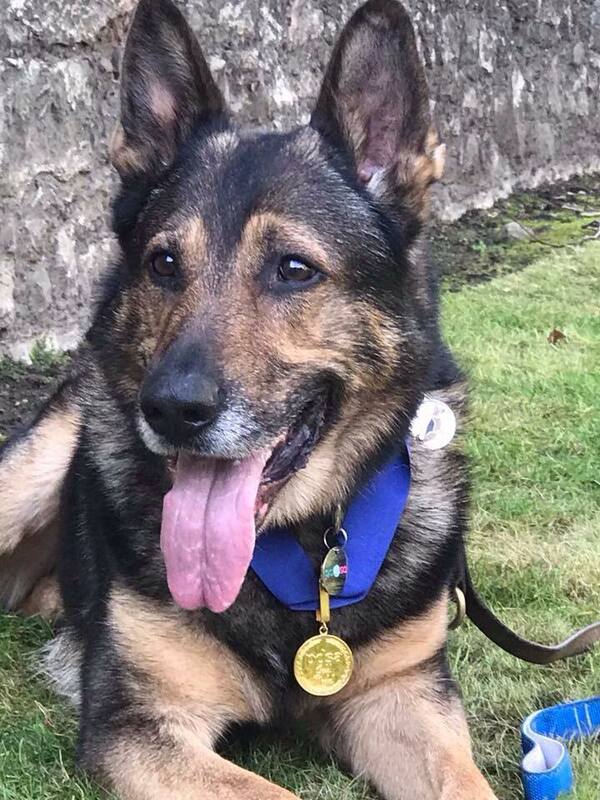 He has received the PDSA Gold medal for Bravery 2018, IFAW – Hero Animal award 2017, The Daily Mirror Animal Hero Awards – Hero Animal of the year 2017, Woofstock 2017 – Hero Animal Award, Finn has been to the House of Lords, Westminster, Holyrood House, Crufts. He has shared the sofa with This Morning’s Phil and Holly, the BBC and LBC. He also recently took part in the Memorial service for Animals in War. And to top it off, In March 2019, Finn and Dave won Friends for Life 2019 at Crufts, also winning £5,000 for his chosen charity! A very special, and very emotional day for us all! 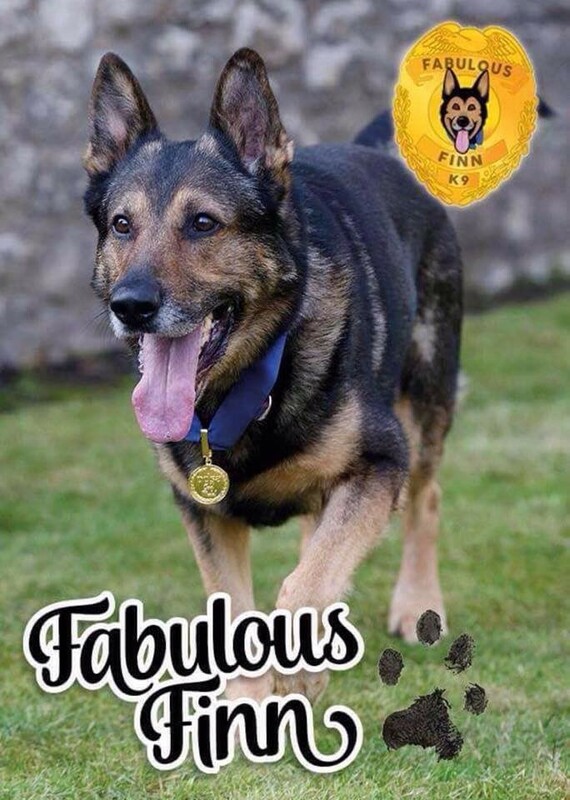 In our opinion what better Patron could there be for a German Shepherd Rescue than……a German Shepherd, and let’s be honest, the Fabulous Finn ticks all the boxes and more. We could not be more proud! Check out Finn’s Store and support GSRE! “Here at Finn’s Store we serve the very best healthy organic dog food, paw-picked by Finn himself. We know that dogs are happy and healthy when they are fed the very best in food. That’s why Finn started Finn’s Store, to bring you his favourite organic food to your furry friend. Every order from Finn’s Store is delivered next day within an hour time slot via our chosen courier DPD. Not going to be in? Just use the tracking link we email you and select a safe place or a preferred neighbour for delivery, it’s that simple.